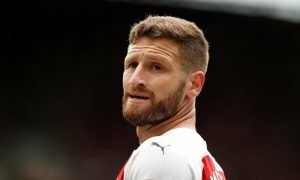 Arsenal open talks to land incredible £42m striker | The Transfer Tavern | Where football transfer rumours fly or die! Arsenal fans in the Transfer Tavern almost choked on their pints this morning after reports suggested the Gunners are eying an audacious swoop for a world-class striker. The Sun states Arsenal will lodge a £42m move this month to land Pierre-Emerick Aubameyang from Borussia Dortmund, which would provide a huge boost to the Gunners in the Premier League title race. Aubameyang has enjoyed a scintillating performance in German football so far this season, with an incredible tally of 24 goals in 23 games so far this term- and he’s told friends he wants to play in the Premier League. Such a transfer for Arsenal would signal a major statement of intent, whilst the price would put Aubameyang near the top of the Gunners all-time most expensive signings, behind only Mesut Ozil. Arsenal fans, would Aubameyang assure you of Premier League success? Let us know in the comments below!